Punch needle is coming to Kutomo! We are having our first ever punch needle workshop on 22 May. 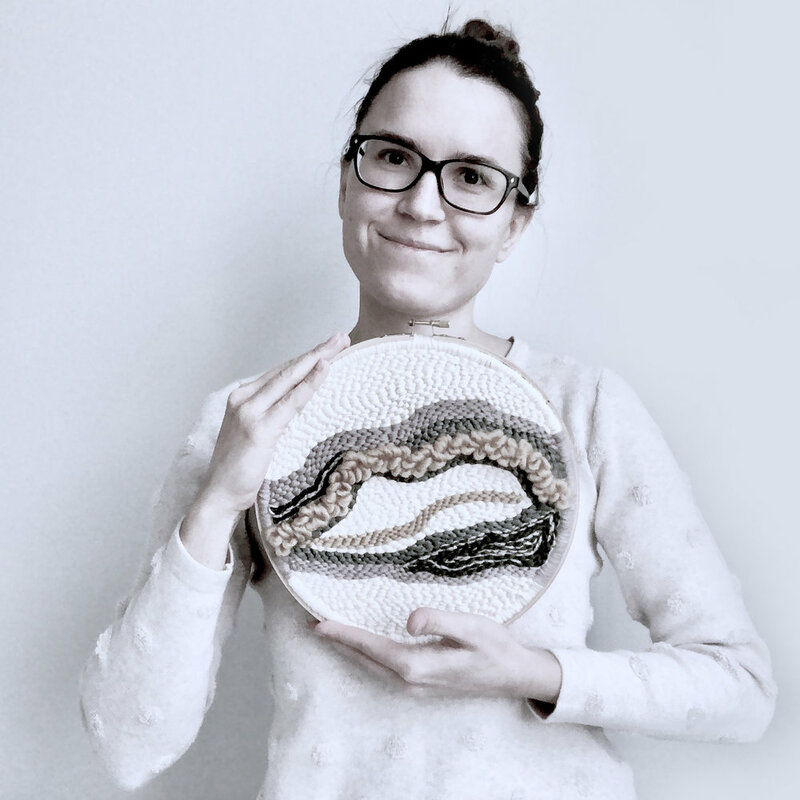 In this workshop, Heli Savila – a punch needle artist – is going to teach us all the basics about this craft. She will give you insight about the materials and tools, where to get them and what are the possibilities. You will also hear her tips about composition, choosing colours and how to create your own unique projects. During the course you will be making a punch needle project on a square frame. In this course you are going to make a wall hanging 25x25 cm using an adjustable punch needle that you can later take home with you. All the materials are included and no previous experience is required. A selection of different yarns. If you have some special yarns that you would like to use in your project, you are welcome to bring them with you – Heli will help you find a way to use them. Sign up for the course by sending an email to studio@kutomostudio.com. Maximum 10 participants. You can pay the course fee by bank or credit card when you come to the workshop. Heli has been learning and experimenting this craft for a year. She uses punch needle to create wall hangings that are full of texture by experimenting with different colours and shapes. She is passionate about combining punch needle and art to create home decor. She is originally from Estonia and has been living in Helsinki for half a year with her husband and two cats.